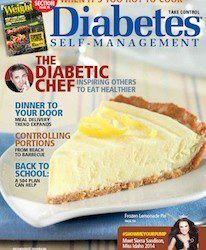 Home > Blog > Web Team > Pick Up the July/August Issue of Diabetes Self-Management! Pick Up the July/August Issue of Diabetes Self-Management! Want to learn about how to be medically prepared for an emergency, writing a Section 504 Plan for your child, diabetes-friendly meal delivery services, and more? Then pick up the newest issue of Diabetes Self-Management at Barnes & Noble or your local grocery retailer, or download it on your favorite device. And be sure to subscribe for up to 50% off the newsstand price and receive our award-winning, expert information all year long!